This, found today, and posted only yesterday may give some clues! Please do respond and copy me. We are currently sat on the CRT 24Hr moorings on the wall at Limehouse. 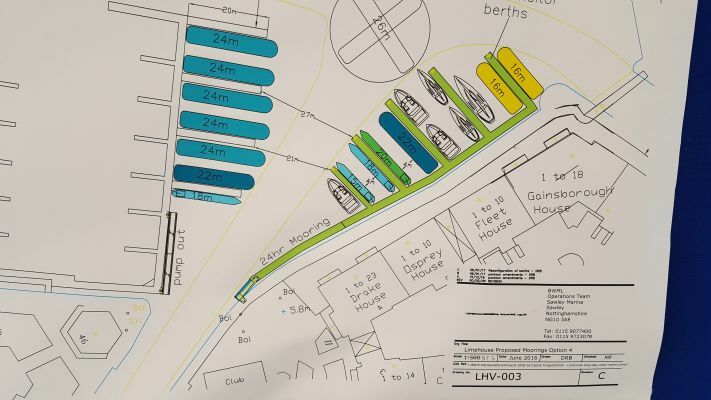 When I went to book a lockout I noticed a plan in the lock office for redevelopment of the 24Hr moorings. Basically they are proposing to change quite a large section from CRT 24 Hr visitor moorings to BWML marina visitor moorings. The current disabled pontoon will be extended toward the lock with 5 finger pontoons into the marina basin.